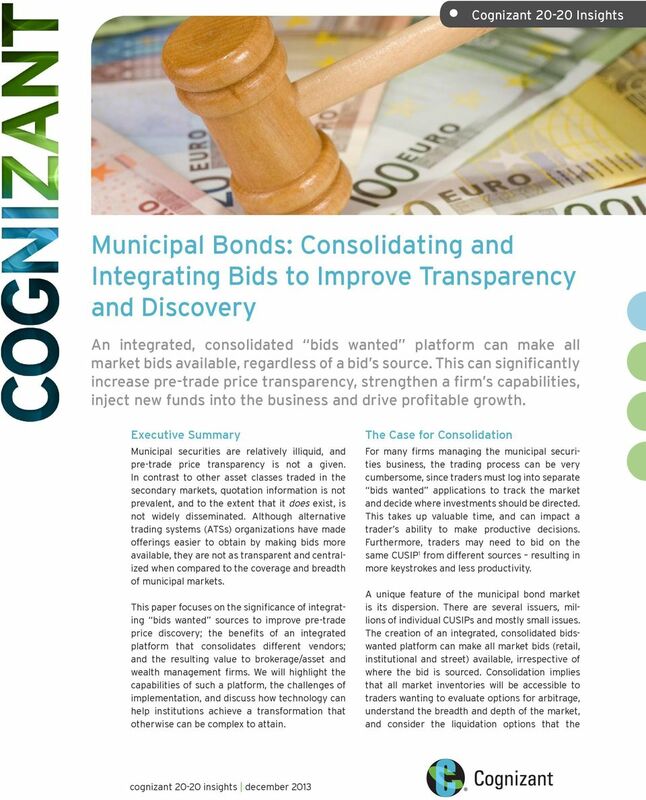 Download "Municipal Bonds: Consolidating and Integrating Bids to Improve Transparency and Discovery"
5 References 1. 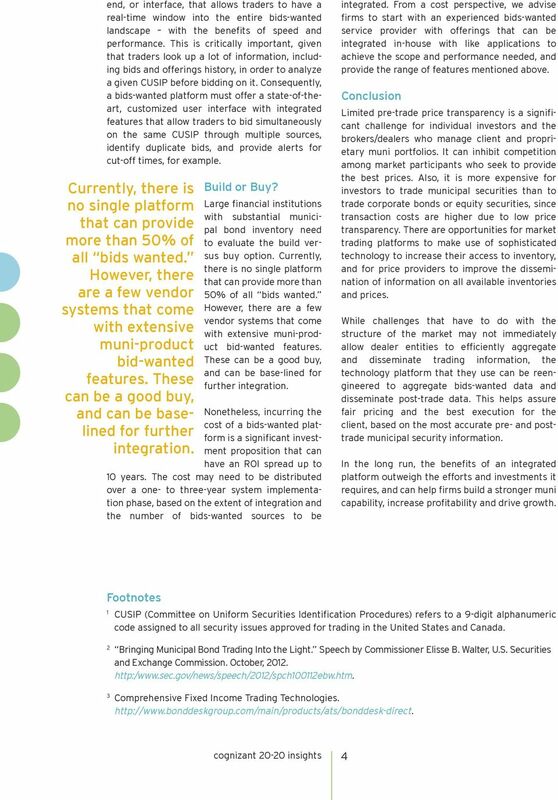 Tradeweb Platform Fixed Income Marketplace Municipal Securities Overview of the market structure, pricing and regulation Municipal Securities Rule Making Board Factbook Electronic Municipal Market Access Municipal disclosures and market data. About the Author Sameer Hiray is a Consulting Manager in Cognizant s Business Consulting Group with more than 12 years of consulting experience in the areas of business management, financial services and capital markets. He has worked with leading global firms in the banking industry in domains such as investment banking, investment management, risk management, private banking, and asset and wealth management. In his current role, he is engaged in delivering business solutions, including business IT transformation, business process consulting, operating model definition, business IT assessment and implementation strategy. 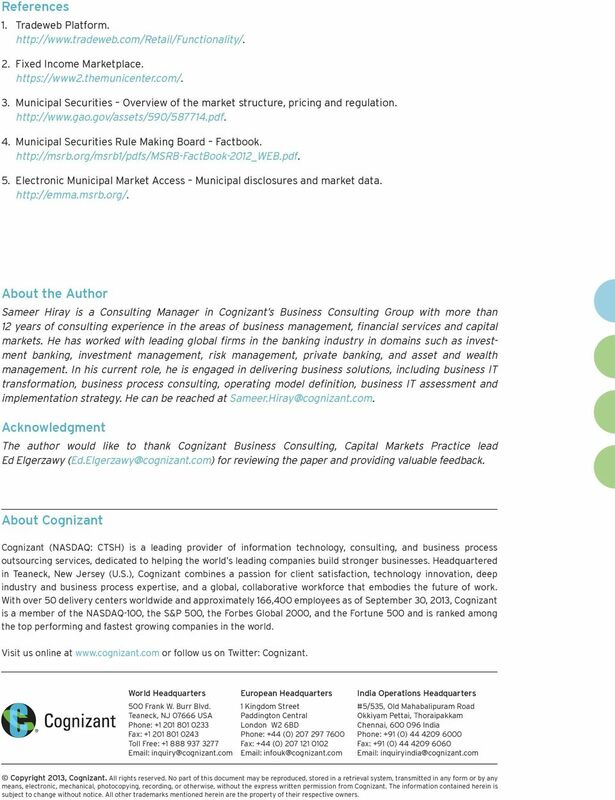 He can be reached at Acknowledgment The author would like to thank Cognizant Business Consulting, Capital Markets Practice lead Ed Elgerzawy for reviewing the paper and providing valuable feedback. About Cognizant Cognizant (NASDAQ: CTSH) is a leading provider of information technology, consulting, and business process outsourcing services, dedicated to helping the world s leading companies build stronger businesses. Headquartered in Teaneck, New Jersey (U.S.), Cognizant combines a passion for client satisfaction, technology innovation, deep industry and business process expertise, and a global, collaborative workforce that embodies the future of work. With over 50 delivery centers worldwide and approximately 166,400 employees as of September 30, 2013, Cognizant is a member of the NASDAQ-100, the S&P 500, the Forbes Global 2000, and the Fortune 500 and is ranked among the top performing and fastest growing companies in the world. Visit us online at or follow us on Twitter: Cognizant. World Headquarters 500 Frank W. Burr Blvd. Teaneck, NJ USA Phone: Fax: Toll Free: European Headquarters 1 Kingdom Street Paddington Central London W2 6BD Phone: +44 (0) Fax: +44 (0) India Operations Headquarters #5/535, Old Mahabalipuram Road Okkiyam Pettai, Thoraipakkam Chennai, India Phone: +91 (0) Fax: +91 (0) Copyright 2013, Cognizant. All rights reserved. No part of this document may be reproduced, stored in a retrieval system, transmitted in any form or by any means, electronic, mechanical, photocopying, recording, or otherwise, without the express written permission from Cognizant. The information contained herein is subject to change without notice. All other trademarks mentioned herein are the property of their respective owners. 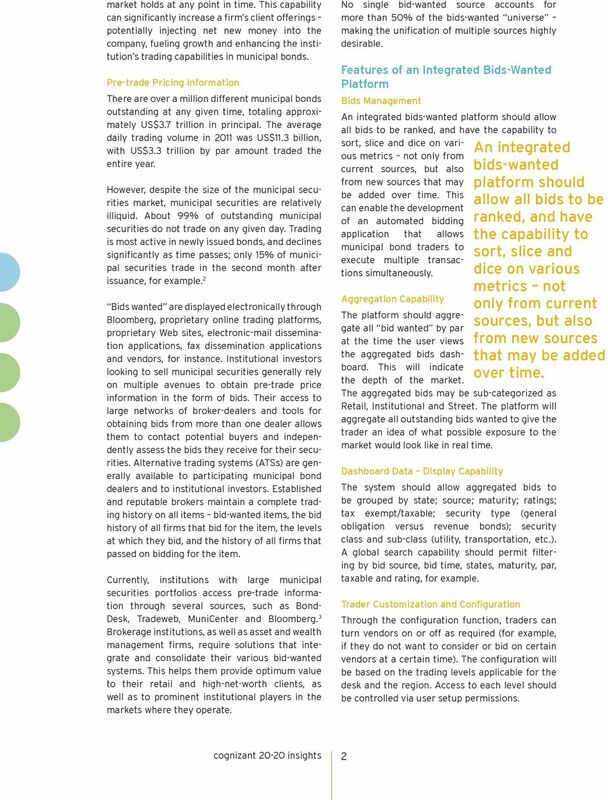 Cognizant 20-20 Insights Cloud Brokers Can Help ISVs Move to SaaS Executive Summary Many large organizations are purchasing software as a service (SaaS) rather than buying and hosting software internally. Cognizant 20-20 Insights Driving Innovation Through Business Relationship Management BRM organizations take the IT-business partnership to the next level, enabling technology to transform business capabilities. White Paper Talent as a Service: Enabling Employee Engagement While Boosting Efficiencies The human resources (HR) and human capital management (HCM) landscapes have changed radically in recent years. 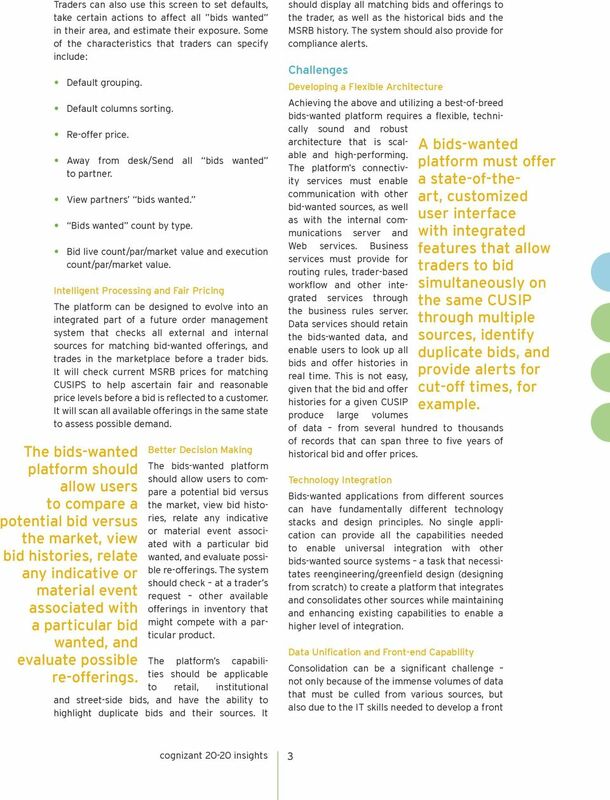 Cognizant 20-20 Insights Speed, Agility: The SaaS Killer Apps Executive Summary Buying software as a service (SaaS) helps companies compete by democratizing, decentralizing and speeding application deployment. How Responsive Is Your Testing? Cognizant 20-20 Insights Risk Mitigation: Fixing a Project Before It Is Broken A comprehensive assessment of unforeseen risks in the project lifecycle can prevent costly breakdowns at the testing stage. Sliding Oil Prices: Predicament or Prospect? Cognizant 20-20 Insights Dissecting Sales Analytics in Insurance Salesforce ineffectiveness is often blamed on the CRM system; however, the problem typically resides in the way data is captured and interpreted. Can Agile Work for This Project?